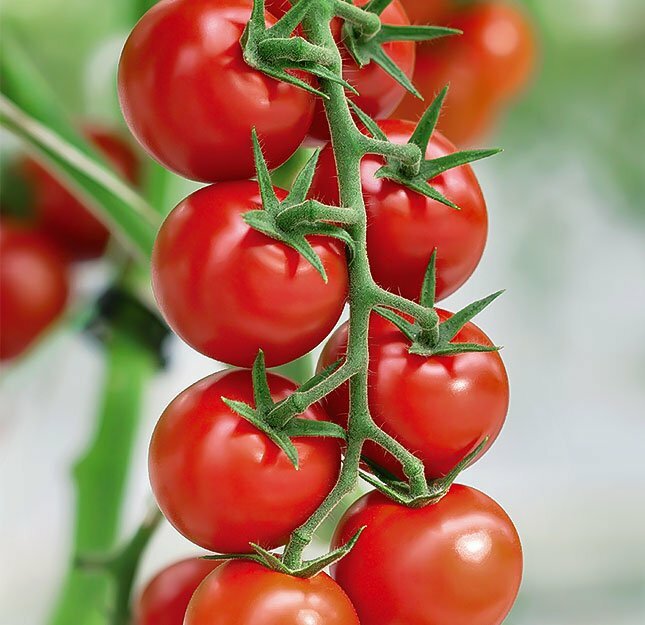 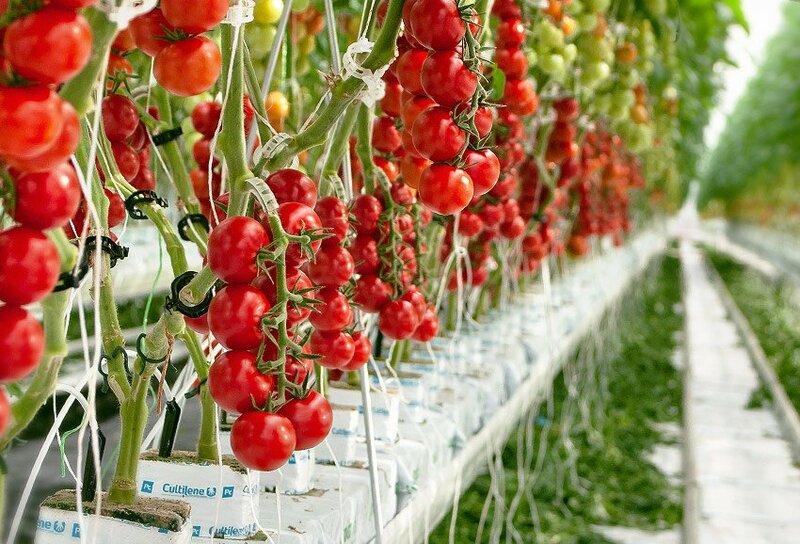 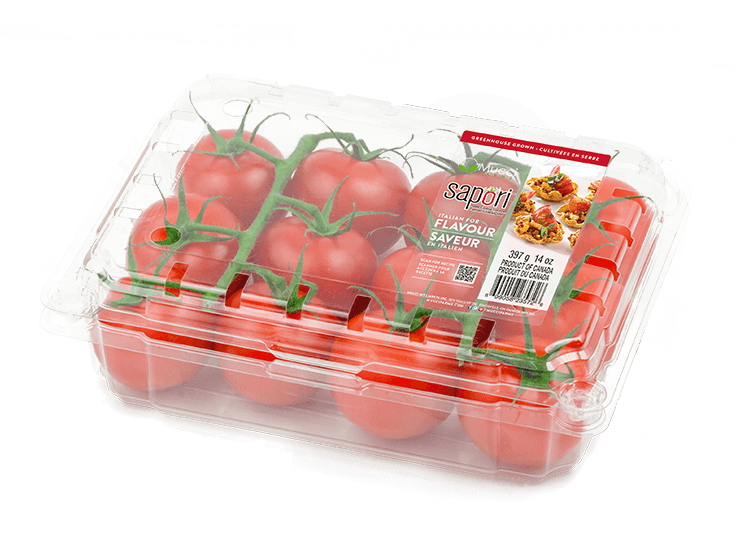 With such great taste, it’s no wonder we named this tomato Sapori, which means "flavour" in Italian! 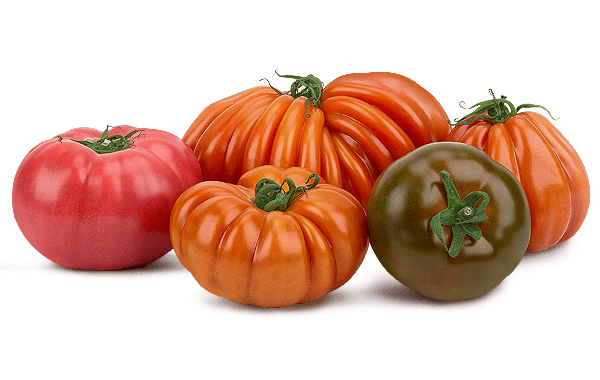 These sweet cocktail tomatoes are perfect as an on-the-go snack, in salads, roasted, or in kabobs. 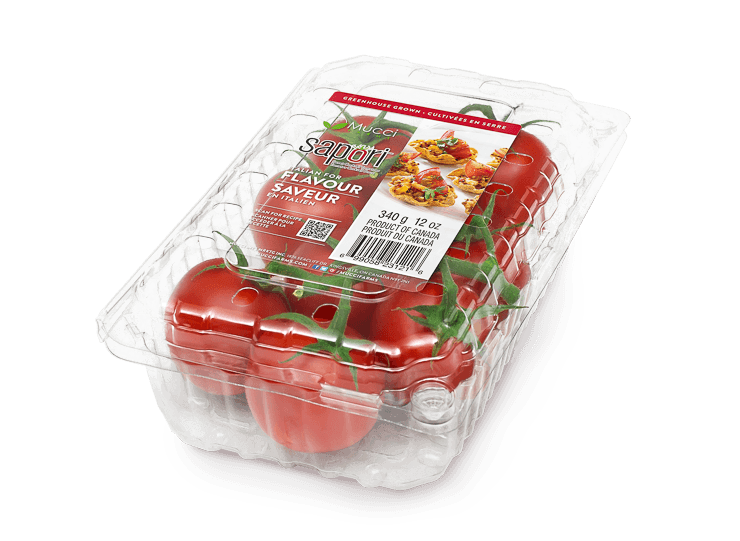 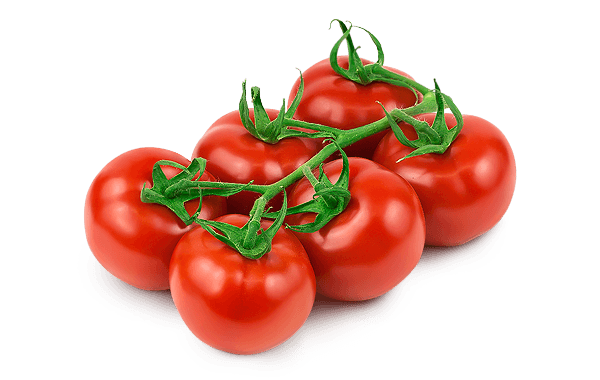 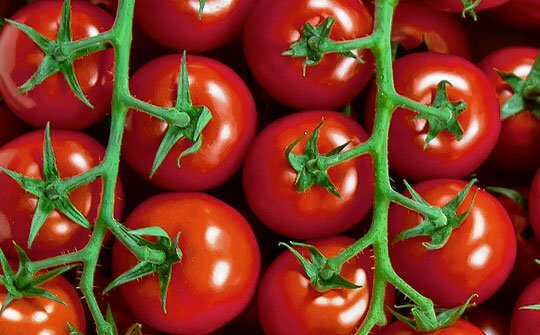 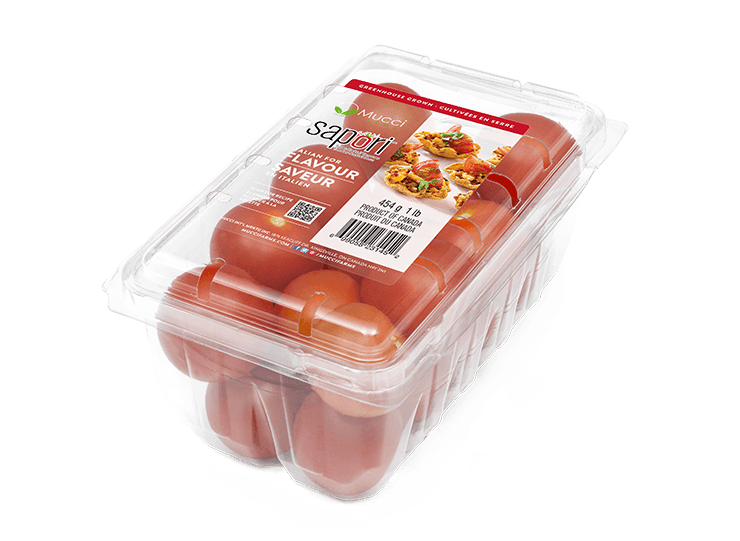 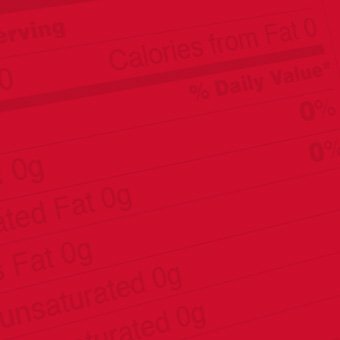 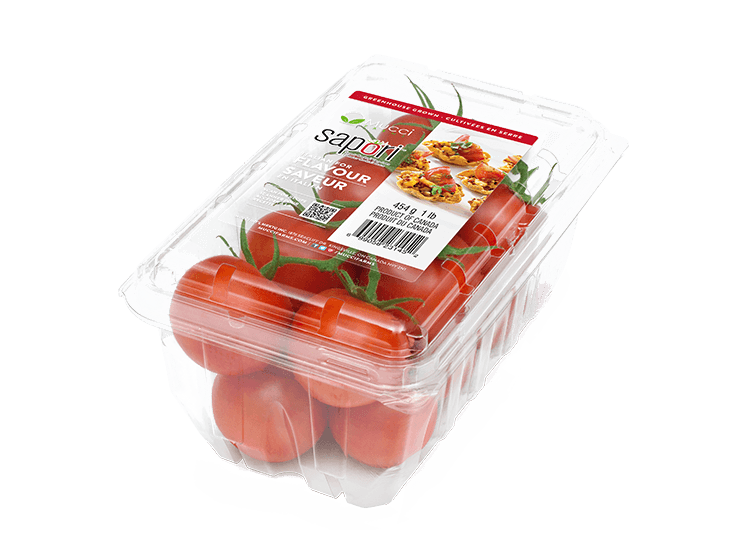 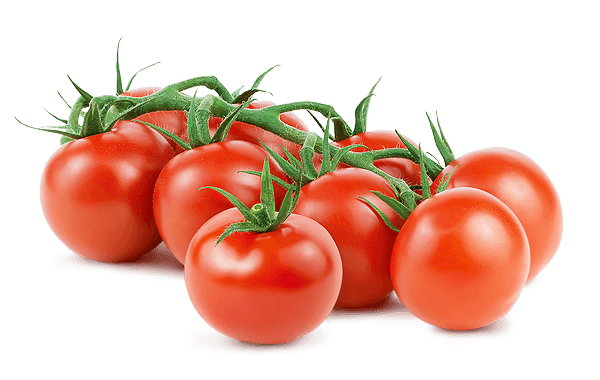 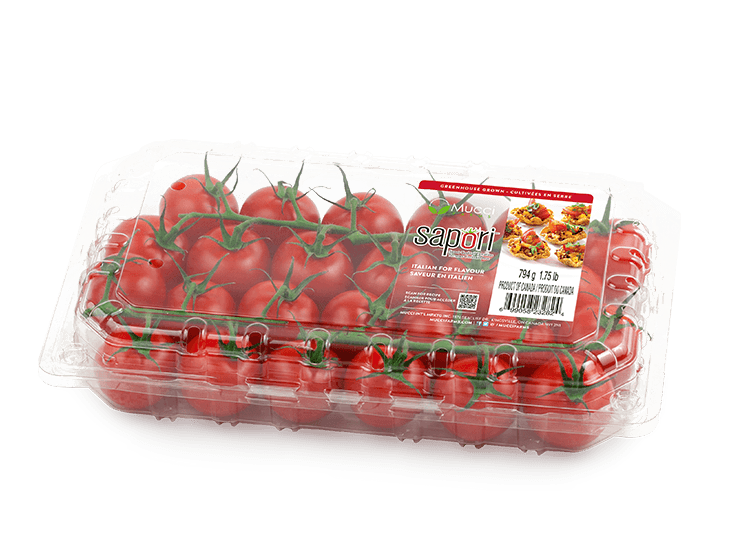 Sapori™ Sweet Cocktail Tomatoes are a great addition to all your savory dishes. 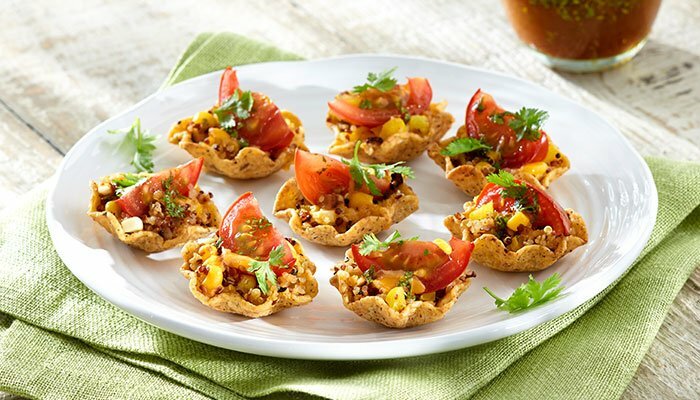 These taco bites are quick, easy and fun to snack on. 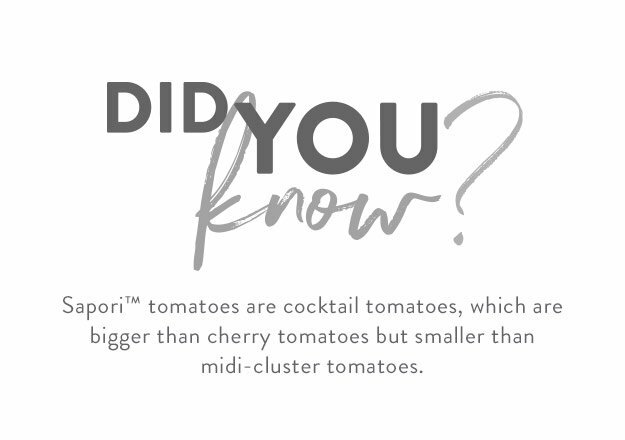 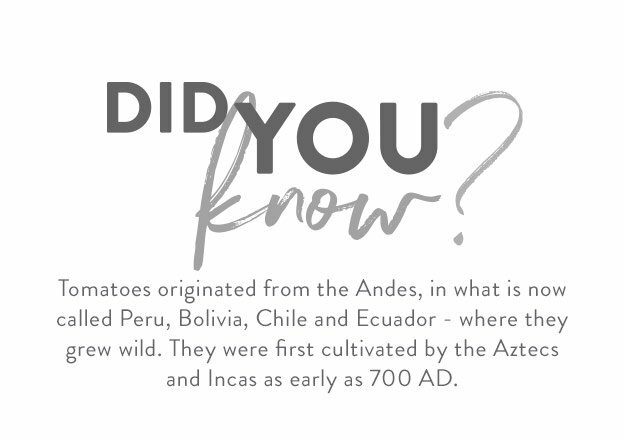 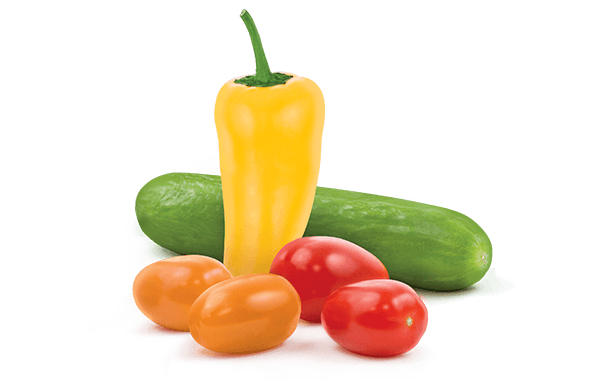 Mucci Farms' Sapori™ tomatoes are key for this tasty bite-sized treat. 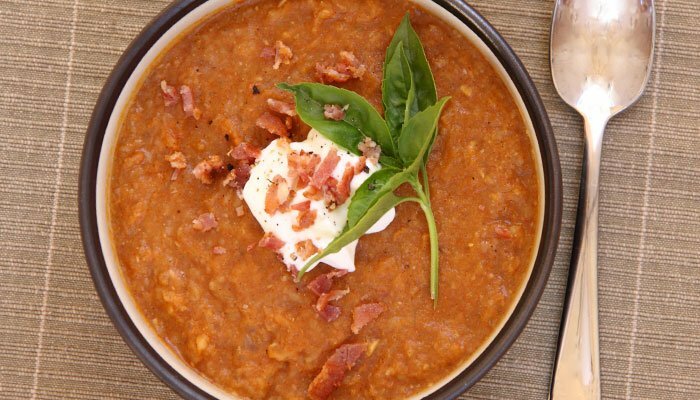 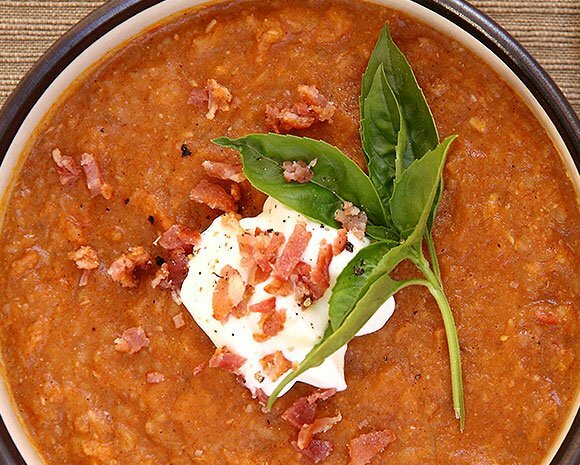 Full of fantastic flavour, this soup is excellent when paired with a grilled cheese sandwich, or served by itself for lunch or a light supper. 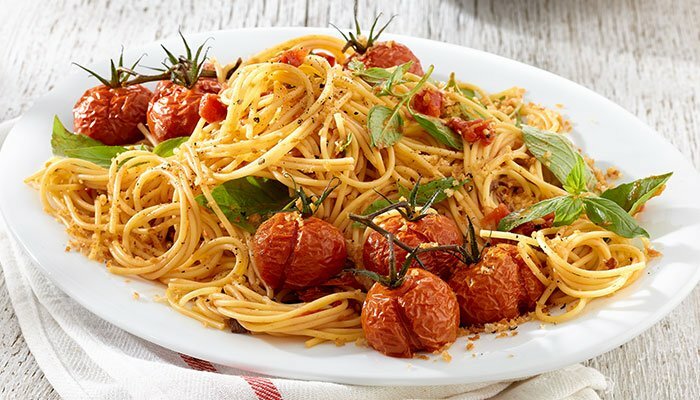 This simple and healthy dish is great when shared with a table set for 10, or enjoyed in the kitchen alone after a busy day. 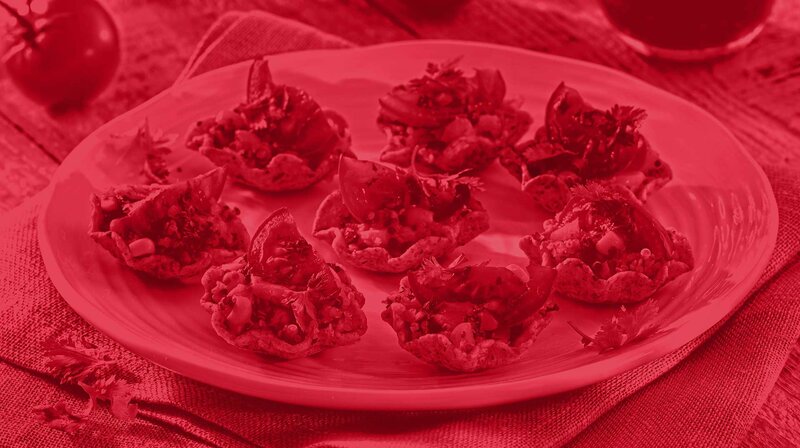 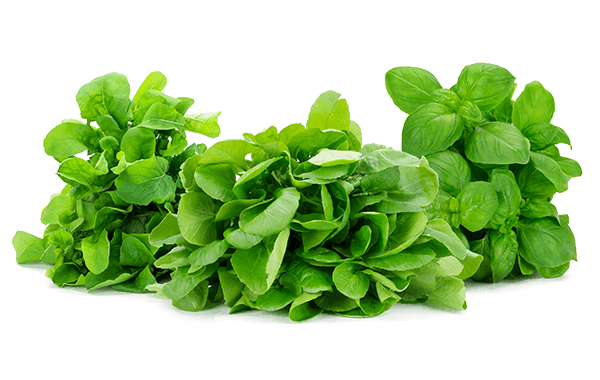 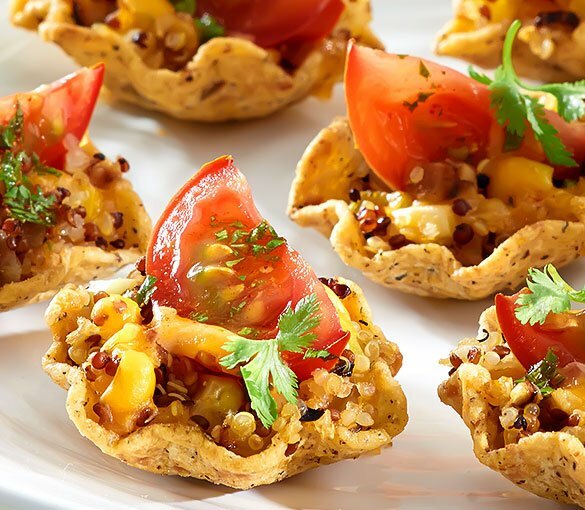 Try this delicious Sapori™ appetizer during your next dinner party. 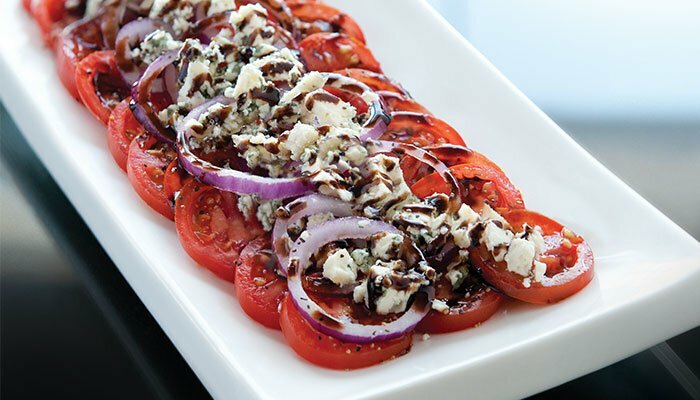 This quick dish is guaranteed to please your guests.